The Toronto Raptors will host the Philadelphia 76ers in a clash between two of the best teams in the Eastern Conference. The Raptors (6-1, 5-0 home) took a chance in the off season by trading DeMar DeRozan for Kawhi Leonard, who only has one year left on his contract. So far, things are working at least as well as expected. Leonard is a (much) better player than DeRozan and he`s playing like it, making Toronto even better. The Raptors are looking really good and started the season with 6 consecutive wins until finally losing in Milwaukee a couple of days ago against a strong and in form Bucks side. That loss doesn`t really count, as Toronto was without three important players – most notably their top man Kawhi Leonard being rested. The Sixers (4-3, 0-3 away) were supposed to have a breakout year this season after getting knocked out in the Eastern Conference semifinals last year, but things are not going as planned so far. Their young superstar duo of Embiid and Simmons is dominant, but the two players didn`t seem to improve as much as expected, and also have less help than last year. The Sixers lost all their away matches this season and even the wins they got at home were far from impressive and against non playoff teams. Bet on Raptors v Sixers and get your 100% (120 Eur) welcome bonus at LSbet now! Team news: Kawhi will return for the Raptors after being rested in the last game. Anunoby and Van Fleet could also return, but they are doubtful. There are no other missing players for the Raptors. Philadelphia will continue to be without Chandler, Smith and Bayless. This Philly team is definitely not looking very good right now. They are just 4-3, they lost all their matches on the road, and at home they were lucky to meet only poor teams (Bulls, Magic, Hornets, Hawks). Even in those games Philly did not impress, and almost lost against the Magic and the Hornets. Overall, it might be fair to say that the Sixers haven`t played a good game all season, at least not a consistently good one from start to finish. Philly definitely looks worse than last year, which makes sense if you think that they lost a couple of deadly shooters like Belinelli or Illyasova, without bringing in proper replacements, and the current injuries to role players did not help their depth either. Now Embiid and Simmons don`t have enough shooters to kick the ball out too, and are asked to carry almost the entire load for the team. 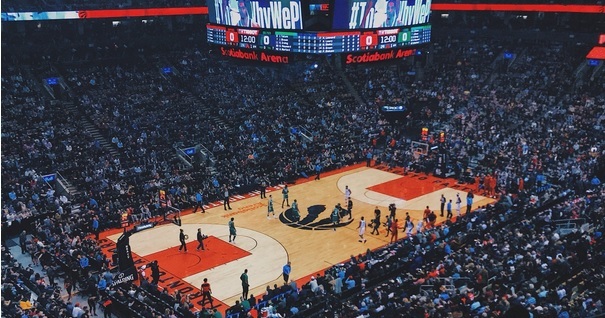 The Raptors on the other hand are on a high, and looked excellent so far this year. They did lose a couple of days ago against the Bucks, but the Bucks are 7-0 this season, and more importantly Toronto was heavily shorthanded, missing its best player and two key rotation guys. After that (almost scheduled) loss against the Bucks, Toronto should be able to bounce back with a victory at home here. The Raptors are one of the best home teams in the entire NBA, which is not surprising considering that they play in Canada. Last year, they were actually tied with the Rockets for the best home record in the league. At first sight odds around 1.40 on Toronto might seem on the low side, but after an in depth analysis the price actually looks very competitive. The Raptors are in better form and are much more complete than Philly. They will have the best player on the court in Kawhi Leonard and also have much more depth than Philly. This combination along with home court advantage should be too much for the Sixers, who have to rely almost exclusively on Embiid and Simmons. My tip here will be Toronto to win, I will avoid the handicap for extra safety. I reckon it`s more secure to invest max stakes on the straight win than 7-8 units on the 6 point handicap, which could be tricky considering potential garbage time, and that Philly is not a scrub team. Prediction: Toronto Raptors – Philadelphia 76ers 117 – 107.